The Euroa Pony Club holds monthly rallies at our grounds at the Longwood Recreation Reserve, Down Street, Longwood. We cater for all levels and age of rider. Whether your aim is to become 'competiton ready' or you just simply want to ride with your friends, the Euroa Pony Club is all about having fun with your ponies. If getting out and competing is what you are after then qualified instructors are there to lend a helping hand and to guide you into the competition arena but if being with your beloved steed and friends is what Pony Club means to you then the Euroa Pony Club is the place to be on the last Sunday of the month! Something for everyone at Euroa! 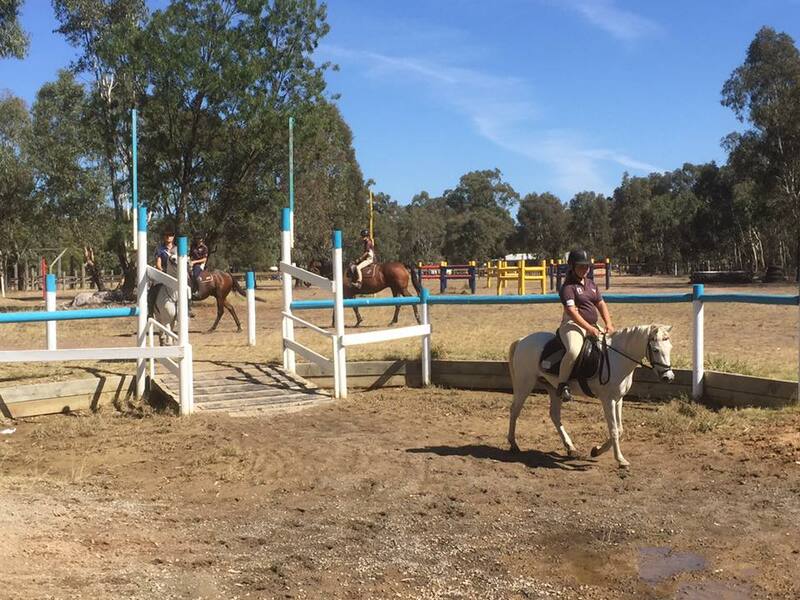 The Euroa Pony club has something for everyone with a 60 x 40 m sand arena, a cross country course with a water feature and heaps of space to play games and go on a trail ride.​ We also have great overnight/day yards, a warm welcoming club house with a nice fire for those cold winter days with a fully equiped kitchen that provides the best lunches for all our members on rally days. We hold several clinics throughout the year in a variety of disciplines from games to showjumping, dressage and even vaulting. When it comes to getting out and about there is always something to do with our ponies. The Victorian Interschools Equestian Series is yet another avenue for you to explore with events all over the state in several disciplines such as Combined Training, show jumping, eventing and dressage & provides a unique opportunity for you to compete for your school. Just make sure you know the entry criteria and membership requirements before you enter any events. Check out their website by clicking the link below. Working With Children forms are required by all parents & instructors that assist at the rallies; this is a no fuss process and just requires you to fill out a form (click link provided). There is no cost to you, just be sure you tick the 'volunteer' section on the form. The Pony Club Association have a fantastic website packed full of helpful information; be sure to check it out! When we are out and about competing, and even just at one of our rallies, there are sooooo many rules and regulations that we have to follow that it can get very confusing. Click the link below to view the 'quick reference guide' that may help you start put; for a more detailed guide visit the PCAV website link provided above. Where friends for life are made through the love of horses!